I never want to look like a show-off (bragging is unflattering and hardly ever justified) but I can't help but feel a little excited about being a JPG Magazine website selection. 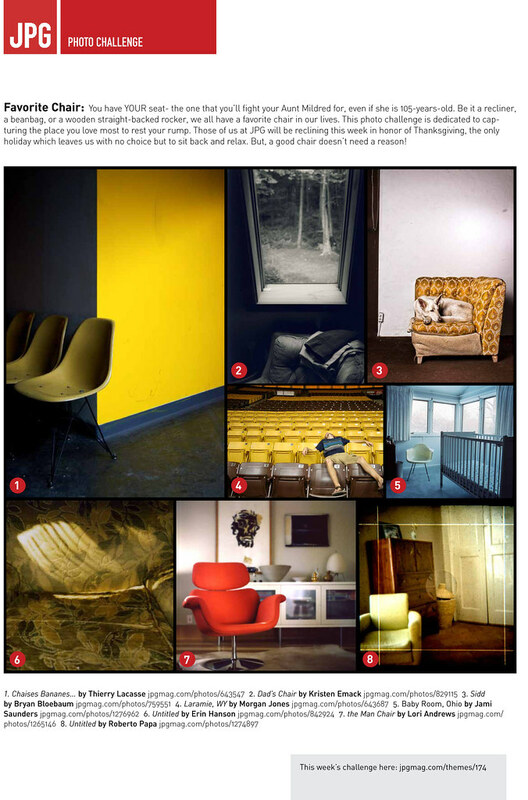 One of my photos was chosen in the Favorite Chair Challenge. Indeed the chair shown is a sad smelly but much loved place to rest my weary self over the years. It's one of the few pieces of furniture I've managed to hang onto over the course of living on my own. If a chair had feelings I would venture to guess it's pretty happy for us.